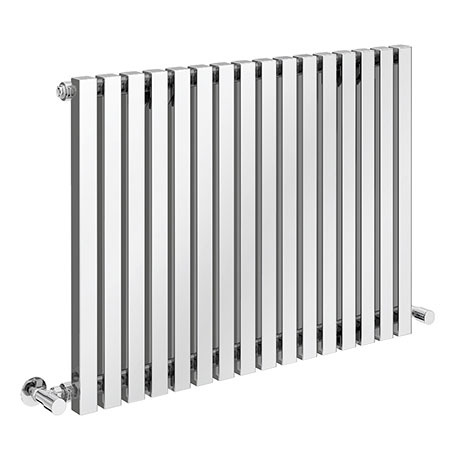 Bring some contemporary chic into your living space with this modern 600 x 800mm square tube Alaska horizontal radiator. with its stunning looks, makes for a striking design feature on your bathroom wall. Features a anthracite powder coating with a great matt finish. Our modern radiators are an elegant and stylish addition to any home. Supplied complete with 5 year guarantee for peace of mind.